Welcome to week 5 of Synergy’s Maintain Don’t Gain Holiday Challenge. This week as the holidays are in full swing, we’re focusing again on strength training. For many, the season of giving is also the season of getting over indulgent with food and drinks. And while we’re all for allowing yourself to enjoy the holidays and the festivities that go with them, we know it can be a slippery slope. So, consider these easy swap outs to keep yourself from veering completely off track from your health and fitness goals. This classic holiday party beverage packs upwards of 500 calories and an incredible 60 grams of sugar! 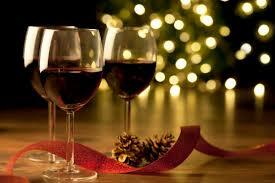 Most red wines clock in at about 110 calories per serving. And, if you opt for a dry white such as sauvignon blanc, you’ll come in at under 100 calories. That’s a swap-out of almost 5 to 1! Sticking to the olive dish will not only save you calories on the appetizer, but it can help you eat fewer calories for the meal overall. 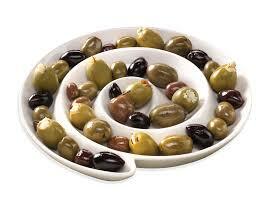 Their healthy monounsaturated fats make olives a great snack choice anytime. Just 4 ounces of this holiday favorite has 400 calories and about 25 grams of fat – including more than half of the suggested daily intake of saturated fat. Choosing turkey or ham will cut your calorie count down to about 150 for the same 4 ounce serving. If you opt for ham, be sure to drink extra water to counteract the sodium. Although the foundation for this side dish is healthy, it’s often topped with fried onion and mixed with cream which can bring you to about 300 calories per serving. You don’t need to add much of anything to make this winter vegetable taste great. 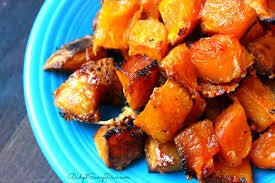 Just a sprinkle of nutmeg, salt and pepper and a drizzle of olive oil makes for a low calorie, delicious and antioxidant rich side dish. One slice of this decadent dessert contains about 550 calories and 35 grams of sugar. Let’s not talk about what happens when you top it with icecream as many people do. Did you ever think cookies would be on the health(ier) alternative side of any list? 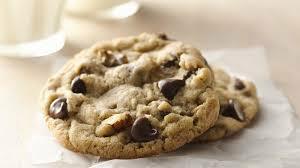 If you can keep your serving to one or two homemade cookies you’ll save about 400 calories and 25 grams of sugar.